In honor of today's Solemnity, I have decided to repost the portion from the "Sacraments" Topical Index Page on the Eucharist and the Sacrifice of the Mass. Jesus, Living Bread which came down from heaven ... have mercy on us. What's This "Holy Communion" that You Speak Of? "Bread" and "Wine" or Something More? 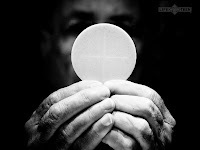 Real Presence vs. "Do This in Memory of Me"
What Are the Effects of the Eucharist? 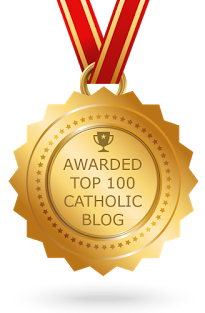 What Does the Eucharist Have to Do with Thanksgiving? Can you please explain the Trinity? I always cringe a little when I get this one. First of all, there's so many different ways to go about it. My head always swims with the many possible ways I could approach the question. Secondly, how do I explain this simply? When someone asks you to explain the Trinity, they're typically not looking for an elaborate treatise on the subject. They just want the gist of it. But how do you give the gist of an inexhaustible mystery? Since I became a DRE in 2008, the RCIA process has given several opportunities to hone my skill at explaining the unexplainable. I guess I'll have to devote the rest of my life to trying to get down to "the gist of it." For now, here is the approach that I take. I think it's important to begin by looking at what a “mystery” is. In a theological context, a “mystery” is something revealed by God that is beyond full comprehension. It is revealed by God: this means that it is God’s own self-discloser to us. God desired to share this aspect of Himself with us so that we might know Him better! It is beyond full comprehension: this means that we will never completely understand the Trinity. We can definitely know certain things about it, but not everything. At first this seems like a source of frustration, but think about it: In a world full of empty pleasures and fleeting joys, isn’t it reassuring to know that we have a God who our minds can never fully consume? We can plum the depths of our Trinitarian Lord forever and ever! He is like a bottomless wellspring, or a banquet table without end. With that in mind, the doctrine of the Trinity is basically this: God is 3 Persons equally and fully possessive of a single divine nature. 3 Persons in 1 God. But, how can that be? 3 does not equal 1, and it’s not enough for the inquiring mind to simply “take it on faith.” There must be some way to understand this better. For me, it helps to know more about the categories involved. Notice, we are talking about “person” and “nature.” If the teaching was that God was 3 persons in 1 person, or 3 natures in 1 nature, that would be absurd. But that’s not what we’re saying. There are two different categories involved -- person and nature -- and so the interplay between them is going to be different. Okay, but what does “person” and “nature” mean? Nature answers the question “What?”. What kind of a being am I? I am a human being. This means I have a human nature. This also means that I can only do things that are in accordance with a human nature. I can think and love and read a book ... but I can’t breathe underwater. That would be in accordance with a fish nature, and I am not a fish! Person answers the question “Who?”. When you see an animal walking by, you don’t say, “Who is that?” because animals are not persons. “Who?” is a question that can only be answered by human beings and by God. Your personhood is also the source of what you do. That “you” inside of you, the “I” inside of me, that is my personhood. I am not the color of my skin, I am me. My human nature does not do things, I do them. Now, we only experience nature and personhood at a 1:1 ratio. I am my own person, and I have my own unique manifestation of the human nature. This means that you can’t think with my mind, and I can’t love with your heart. But, within God, personhood and nature exist at a 3:1 ratio. If me, and you, and a third person all thought with the same mind or loved with the same heart ... that would sort of be like how the Trinity works. When you think of it that way, then I think the Trinity begins to make a little more sense. At least, I hope it does! Note that this is only the briefest introduction. But, it is important groundwork that must be laid before one can begin a study of what God has revealed about Himself. Most people only know Pentecost as a Christian holiday, one that commemorates the day when the Holy Spirit fell on the apostles and disciples of Christ as they gathered in the Upper Room after the Ascension. While the apostles and disciples remained in Jerusalem out of obedience to Christ (cf. Acts 1:4-5), Scripture tells us that Jews from many different nations were also present in Jerusalem (cf. Acts 2:5, 9-11). They were present for a different reason: The Jewish Feast of Pentecost. Pentecost is originally a Jewish holiday. Along with Passover and Tabernacles, it is one of the three Great Feasts of the Jewish calendar. The word “Pentecost” comes from the Greek word which means “fiftieth.” The feast takes this name because it occurs fifty days after the second day of the Passover. To the Jewish people, Pentecost has historical and agricultural significance. Historically, Pentecost commemorates the giving of the Torah to Moses on Mt. Sinai. Since God accommodated his Law to an agricultural people, it enjoins upon the Jews various grain offerings. So, agriculturally, Pentecost also commemorates the time when the first fruits of the wheat harvest were harvested and brought to the temple in the form of two cakes of leavened bread (cf. Lev 23:17). As Christians, we may ask ourselves what significance there is to the fact that Jesus decided to pour out His Holy Spirit upon the Church on this Jewish Feast. I think there are many instances in which the Christian celebration of Pentecost proves to be a sort of fulfillment of the Jewish Feast. The Jewish Feast celebrates the beginning of the wheat harvest by offering the first of the harvested wheat to the Lord. In the Christian Feast, we celebrate the beginning of the Christian Church, when Jesus harvested 3000 souls who were cut to the heart by Peter’s teaching and were baptized. Jesus Christ Himself is the first fruit (“of those who have fallen asleep,” cf. 1 Cor 15:20), and we too are a kind of first fruits by the grace He has given us (cf. Jas 1:18). Finally, the Spirit that the Church received on that day guides us into all truth and knowledge of God’s Will in a way that far surpasses what was given in the Torah. So, in many ways, the Jewish feast of Pentecost was the perfect day to set in motion the Church that God had in mind from the very beginning. Weak on the Feast of Weeks, or Whatever Happened to Shavuot? "We should all be thankful for our mothers" ... that was the message of today's homily. My first thought was, "What about all those who have lousy mothers, mothers who do drugs, who physically or verbally abuse their children, who are always ridiculing their daughters about their weight, who bring home strange men every night, who are overprotective and overbearing? What about them?" I'm sure that there were quite a few people in the pews who dread "Mother's Day" and find nothing "happy" about it whatsoever. For some reason, all of those people came to mind as the priest was speaking, and I wished that he would have spoken to them too. But, after I thought about this some more, I realized that, in a way, he was speaking to them. Now, he never addressed this explicitly, but it still holds true that we should all--as in, every single one of us--be thankful on Mother's Day. But why? Well, for one, the fact that you are even reading this right now means that, however sinful your mother may be, at least she didn't make the decision that thousands of other mothers make and "terminate her pregnancy." Instead, she decided to let you live. No sharp instruments were thrust into your skull, praise God! Your mother spared you from such cruelty. If you have ever been weak or totally dependent on another person, then I'm sure you understand how wonderful it is to have someone care for you, instead of rejecting you or harming you. This is what your mother did for you when she bore you and gave birth to you. Now, to this some may say, "Yea, and she's been giving me hell for it ever since!" Unfortunately, for some mothers, the choice to bring their children into the world was only a momentary kindness, one that they overshadow with daily acts of cruelty and disrespect towards their children. It is here that the second reason to be thankful presents itself. Despite the imperfections of our mothers, we can all say that we have a mother who is perfect. That woman is Mary, the Mother of God, and the mother of all those who are made brothers and sisters of Christ through the grace of her Son. Just as Sarah was the spiritual mother of the Jews (and of all who "do right", cf. 1 Pet 3:6), Mary is the spiritual mother of "those who keep the commandments of God and bear testimony to Jesus" (Rev 12:17). She loves all of her children with a tender and motherly love. She prays for her children daily, and she wants nothing more than for them to find the happiness of heaven. In Christ, we are never motherless. He will never leave us orphan (cf. Jn 14:18). No amount of hatred or disregard can take that away from us. 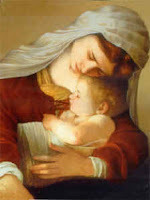 If you suffer at the hand of your earthly mother, flee to your spiritual mother. This can be difficult in a world where it seems that the only thing that is real is the material. But, we must have faith that Mary will come to our aid, that she will intercede for us to her Son as she did for the wedding party at the feast of Cana (cf. Jn 2:1-11). She loves you, she loves us all, and in her is reason enough for us all to be happy on Mother's Day. PS: The Church is our mother too! Who Was Responsible for the Ascension of Jesus? Did Jesus ascend into heaven by His own power or did the Father raise Jesus into heaven? Before we can answer this question, we need to define some terms, because sometimes people get the Ascension confused with the Resurrection. The “Resurrection” is when the human soul of Jesus returned from Hades and brought His body in the tomb back to life again. The “Ascension” occurred 40 days later when Jesus rose, body and soul, into heavenly glory. This means that we cannot give an “either / or” answer to the question of who is responsible for the Ascension. This was the work of our trinitarian God. All three Persons of the Trinity were involved. 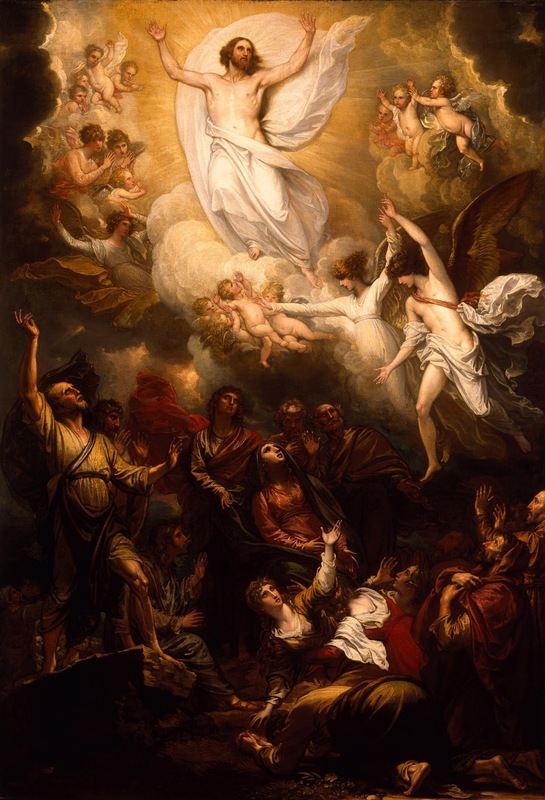 Happy Solemnity of the Ascension!